Typically, most crush test apparatus use load cells to determine the force at which point the test target lost structural integrity. Whilst this method works well, it is not the most cost effective and easiest to install. 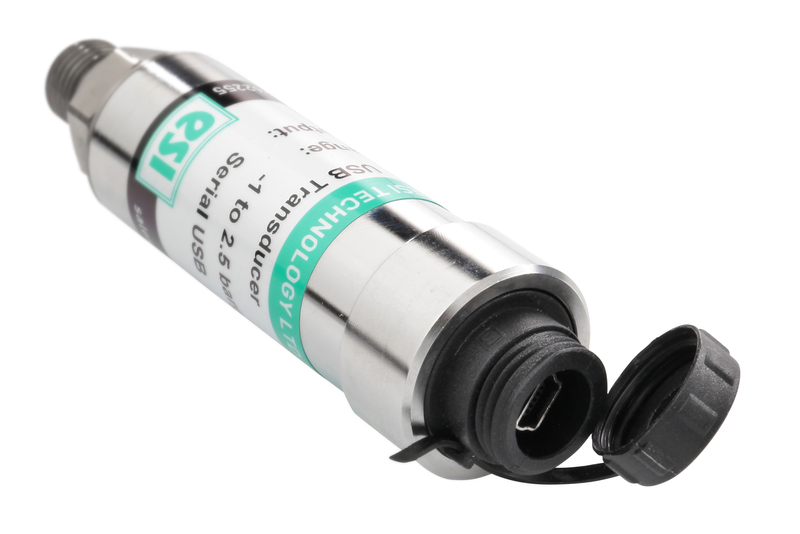 The ESI GS4200-USB pressure transducer provides a more cost-effective solution, which is easier to fit to the test apparatus. Most crush testers apply force through a hydraulic ram. A simpler alternative to installing load cells, is to fit the GS4200-USB, so that it can record the pressure in the hydraulic lines. All that is required is for the hydraulics fitter to add a T - piece into the hose feeding the hydraulic ram and then mount the transducer. The Pressure in the ram is directly proportional to pressure on target object. With the GS4200-USB you get a choice of pressure ranges from vacuum to 4,000bar. The higher-pressure ranges would be the most likely option for crush testing applications. The beauty of the GS4200-USB is that it is powered by, and records directly to your laptop, or PC via USB. There is no need for any I/O boards, summing boxes, or signal conditioners, or a dedicted power supply, which keeps the cost of the overall solution to a minimum. The software is provided free of charge and auto-updates. 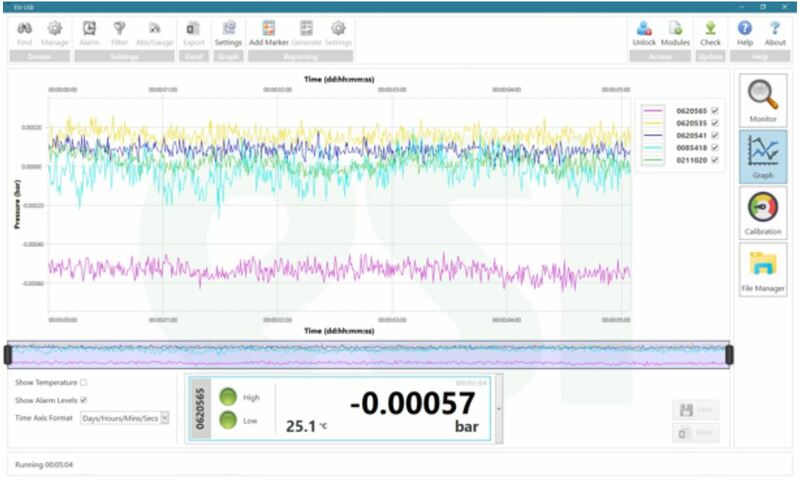 The software not only logs the data from the pressure transducer and presents it as a digital value and trend graph, it also allows you to produce customised test certificates, with your own logo. ESI’s unique Silicon-on-Sapphire sensor technology gives outstanding performance and excellent stability over a wide temperature range. It’s remarkable measurement accuracy provides high resolution with a precision greater than 1 in 10,000. For further information please call ADM Instrument Engineering on 1300 236 467.